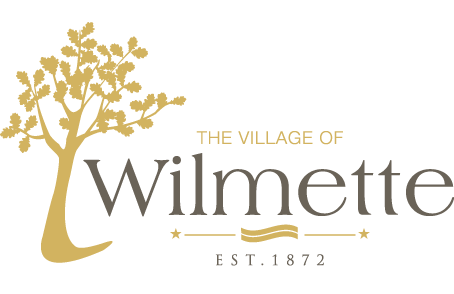 The Wilmette Police Department offers the following steps you can take to protect your credit and how to order a credit report to check if your personal information has been illegally used. You don’t have to keep your credit cards and checkbook in the safe, but here are some hints to help prevent someone from illegally utilizing your personal information. Be careful when giving out personal information over the telephone. Thieves will sometimes call and identify themselves as a bank, store, or other financial institution representative. They may ask for your personal identification, bank, or credit card account numbers. Their explanation may be that they need the information to verify your account for a special discount, offer, or other prize. You should contact the institution yourself before giving out any information over the phone. When making a purchase with a check, a merchant should not ask for a credit card to verify your name or to write down the account number on the check. If they request an ID, give them your driver’s license or State ID card. You should remove your social security number from your checks and especially your driver’s license. Shred or cut up any discarded mail that contains your account numbers or any personal information. This helps to prevent thieves from going through your garbage to copy down this information. If someone calls for a charitable contribution, never give out your credit card number over the phone. Have them send you a written pledge/donation form and verify the charity yourself. Sign the back of your credit cards as soon as they arrive in the mail. Sign all credit cards, checks, and important documents. What Should I do if Someone is Using my Personal Data or my Credit Cards Illegally? If your credit cards or check book has been stolen or lost, contact the issuing lender or bank and have the account closed or frozen. They may require you to file a police report or fill out a fraud report. If you learn someone has been using your personal data to fraudulently obtain credit in your name, you will want to contact the three national consumer-reporting agencies: Equifax, Experian, and Trans Union.Report to them that someone is using your name to illegally obtain credit. You can order your credit report and identify the accounts that are fraudulent. When you find a fraudulent account, you can then fill out a fraud affidavit or statement to have that account taken off your credit report. Many financial experts recommend checking your credit report once a year to correct any false information and to determine if anyone has tried to obtain credit or open accounts in your name. The consumer-reporting agencies can place a security alert on your credit report. This advises other credit issuing agencies that you have been the victim of a credit-related fraud. This can usually be done over the phone.